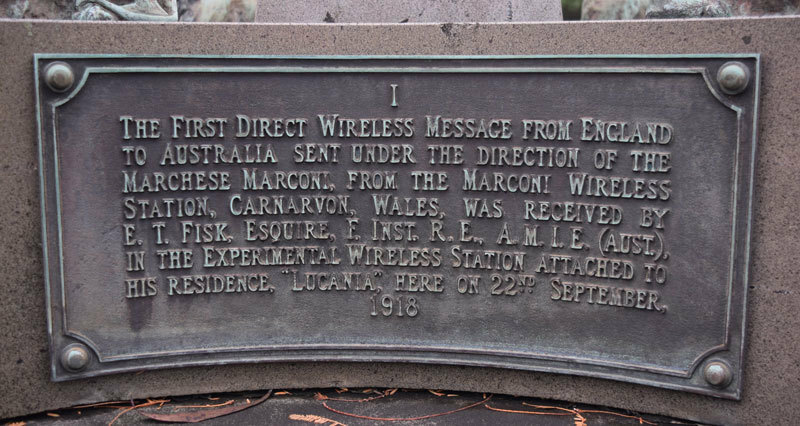 Every five years the Hornsby and District Amateur Radio Club (HADARC) and the Ku-ring-gai Historical Society have commemorated the event by the exchange of wireless messages with the Dragon Amateur Radio Club in Wales. 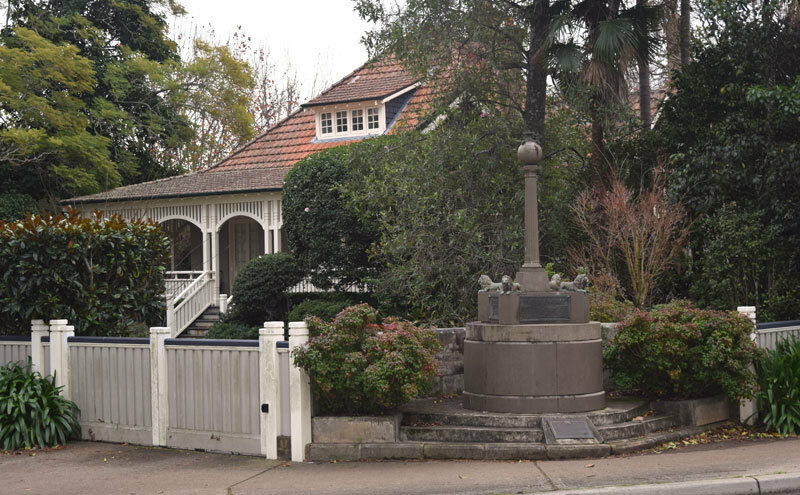 This year, with additional support from Ku-ring-gai Municipal Council, they are planning a major centenary celebration. A re-enactment of the original message will occur adjacent to the Wahroonga monument (as pictured above), followed by displays in the St Andrews church hall, some 50 metres away in Cleveland street, which will include a working HF amateur radio station operating under the specialcallsign VK 100 MARCONI. 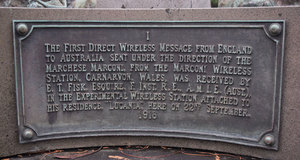 The Dragon Radio Club will also be operating an HF station from the Welsh site of the Marconi transmitter using the special event amateur call sign GB 2 VK, and it is proposed that Fiskville, located in Victoria and named after Ernest Fisk (where early transmitters were located), will be activated from Werribee Gorge State Park (VKFF-0775). Overseas Telecommunications Commission (OTC), AWA, Siemens, and the entire radiocommunications community. It is expected to be well attended by politicians, councilors and school children from around the region, and anyone interested in the history of communications. Note: You may click the images on this page for a larger view. Use your web browsers back button to return to this page.